1. If your baby will cooperate for this one, this is too cute not to try! 2. Baby wants to ride while trick-or-treating? No problem… super cute idea! 4. I laughed out loud when I saw this adorable little lobster in the pot! 5. Not sure how this spaghetti and meatball costume will look after they are done crawling around, but it’s adorable! 8. Twins? Costume Idea? No problem - Thing 1 and 2, duh! 9. Not sure how this chunky costume will let your baby crawl around but it sure is a great idea. 10. Sharks sure are popular these days and this fits perfect. 11. How does this Hershey's Kiss not make you want to just eat her up? 12. She sure is having fun with 8 legs! 13. "Well blow me down!" He’s just missing his Olive Oyl? 14. Grouchy baby? Perfect fit for an Oscar the Grouch costume! 15. 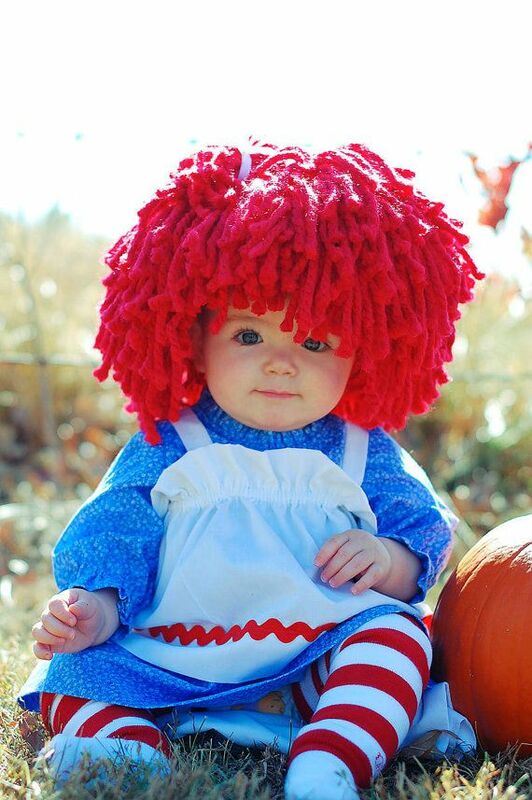 Raggedy Ann is just one of those costumes that will never get old. 16. I haven’t seen this one before and it’s hilarious! He even has the arms like Mr. T.
17. 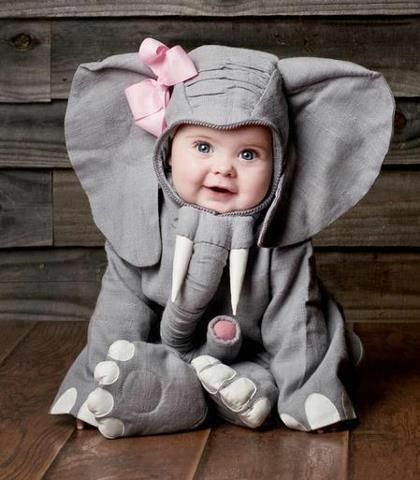 This elephant costume is almost as cute as this little doodler inside there. 19. This snail might not move as slow as this momma wants him to. 20. Can we say ADORABLE? Look at those cheeks! Fits this turkey perfectly. By the way, you can shop our adorable Halloween selection here by the 10th to have it delivered on time! Great outfits for boys, girls and babies!